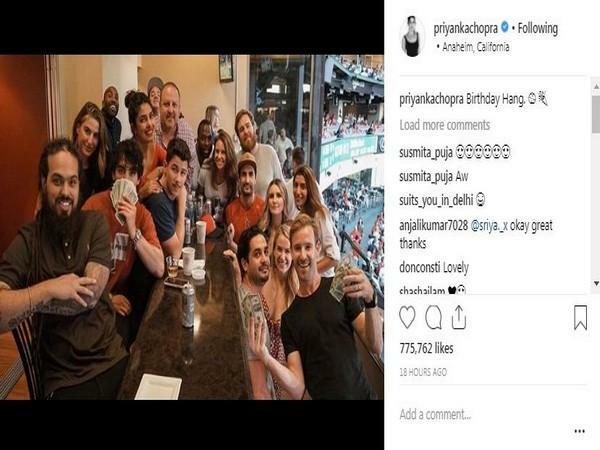 American singer Nick Jonas turned 26 on Sunday, but he celebrated his birthday a day early with fiancee and global star Priyanka Chopra. The couple celebrated Nick's special day with family and friends at Angel Stadium in Anaheim, California. The pop star got to take some swings at bat prior to the Los Angeles Angels' game against the Seattle Mariners. He later performed at a post-game show, continuing his celebrations, reported E! Online. The two and their group watched the game from the Legend Suits section of the stadium. In an adorable gesture, the 'Baywatch' actor was seen jumping up and down and leaning in to hug her love interest. She was also seen lovingly rubbing Nick's hair, according to an eyewitness. Sharing a picture from the baseball celebration on her official Instagram account, the 'Mary Kom' actor wrote, "Birthday Hang." The much-in-love couple walked onto the field with friends following the match before they watched Nick perform from behind the stage while he completed a 10-song set. Angels' first baseman Albert Pujols got a birthday cake for Nick and then the couple shared a bite on the stage. "Thank you for all the birthday love, you all sound beautiful. I have a lot of friends and family and loved ones here tonight," Jonas told the crowd. 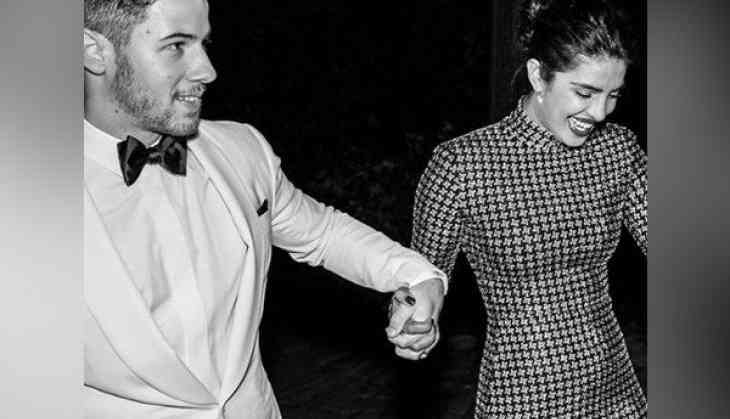 Priyanka and Nick confirmed their engagement last month with a 'roka' ceremony, followed by a private party in Mumbai.